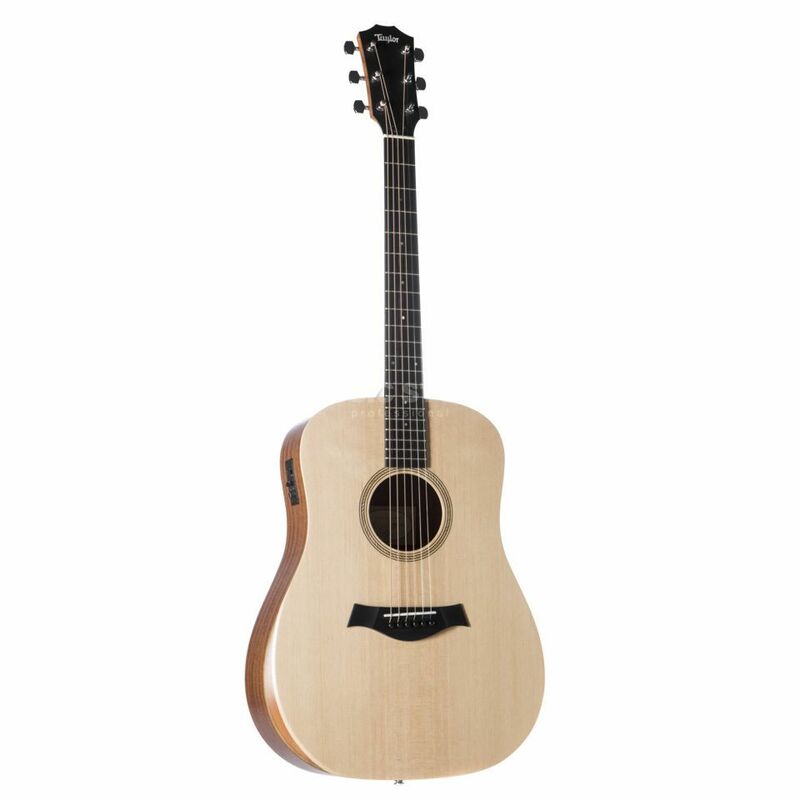 The Taylor Academy 10e has a solid top made of Sitka spruce for a lively sound and a comfortable armrest in the upper frame, which was previously reserved exclusively for the Taylor 900 and Presentation series guitars. With the Taylor ES-B pickup system, the Academy 10e is also well equipped for use on stage and in recording studios. The Dreadnought body of the Taylor Academy 10e acoustic guitar features a solid top made of Sitka spruce combined with laminated Sapele back and sides for a powerful and vibrant sound, an excellent bass foundation, warm midrange and silky highs. The armrest in the upper frame makes the steel-string guitar comfortable to play despite its size, while the shorter 24.875" scale (632mm) and comfortable profile makes every chord easy to grasp on the neck. The Taylor Academy 10e is also equipped with the Taylor ES-B pickup system, making the guitar ideal for use on stage or in recording studios. The pickup, which is based on the Expression System 2, has a particularly natural and warm reproduction of the guitar tone, so that nothing stands in the way of expressive guitar playing. The preamp of the ES-B System provides volume and tone controls to adjust the sound, while the acoustic guitar is tuned correctly in no time at all thanks to the integrated tuner.